A jazz segment lasting all of nine seconds. A voice lodging itself into the cerebral cortices of an unsuspecting populace. A mantra on constant repeat, six times per minute, hurtling towards eternity. Breathing voice. Breathing eternity. Breathing ride. Breathing Mahvel baybee. Breathing Magneto. Breathing wheel. Last year’s entry in gaming’s premier crossover fighter, Marvel vs. Capcom Infinite, came out the gate with satisfyingly flexible tag team gameplay...surrounded by presentation that can be generously described as lacking. It is not the first game in the series challenged in this department, however! But whereas MvCI is largely static and bland, Marvel vs. Capcom 2 veered in the opposite direction, all the way towards incomprehensibility. And it arguably affected the soundtrack the most, with a musical style most appropriate by far for a three-on-three chaotic brawler in which the bravest street fighters, most mega of men, and most planet-pulverizing of superheroes and supervillains all partake: JAZZ FUSION EASY LISTENING!!! Nope, not even jazz fusion awesomeness such as the likes of The Grassy Knoll as sublimely utilized in Legion. Nope, it had to be the corniest of variants. Capcom must have been thinking Oh jeez, we sure knocked it out of the park with Street Fighter III’s bold choices for its soundtrack, why don’t we try making lightning strike twice but let’s do it without the hip hop and drum ‘n bass touches that actually made it cool?? Genius!! Yet paradoxically, getting close to two decades down the line, this inappropriate, anticlimactic head-scratcher of a soundtrack weirdly holds up. Maybe part of it is the music being actually a bit pleasant when taken in isolation from the game. Part of it definitely comes down to narm charm and its resultant effects on nostalgia. 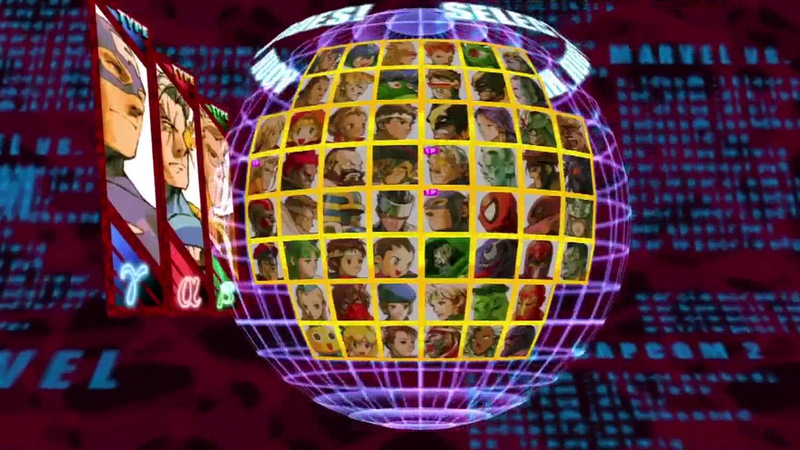 Most of it, however, likely comes from how those factors add up to an improbably awesome character select theme. The horns go in. The bass goes in. The drums go in. When you listen—really give a close listen—to everything that goes on in the nine seconds that make up the full song, it is surprisingly dense and intricate! And is catchy as hell to boot! No wonder that it’s possible to hear it on loop tens or hundreds of times and still retain a chance of not getting sick and tired of it. Coming up with nine seconds of music that can hold its own against that much punishment takes immense skill. Finally, I’d be remiss not to point out how the singer’s constant insistence that she wants to take you for a ride (whatever that means in the context of a comic book clash fighting game) immediately qualified for a spot in the Classic Memes Hall of Fame. So how long out of those thirty minutes did you last, anyway?